Plunging ever deeper beneath the Earth's surface into spectacular wide-open underground chambers, these daredevil cavers embark on a particularly memorable expedition. The climbers are pictured lowering themselves downward into the 350ft 'Rumble Room' - a limestone cavern in Tennessee thought to be one of the biggest caves in the U.S. 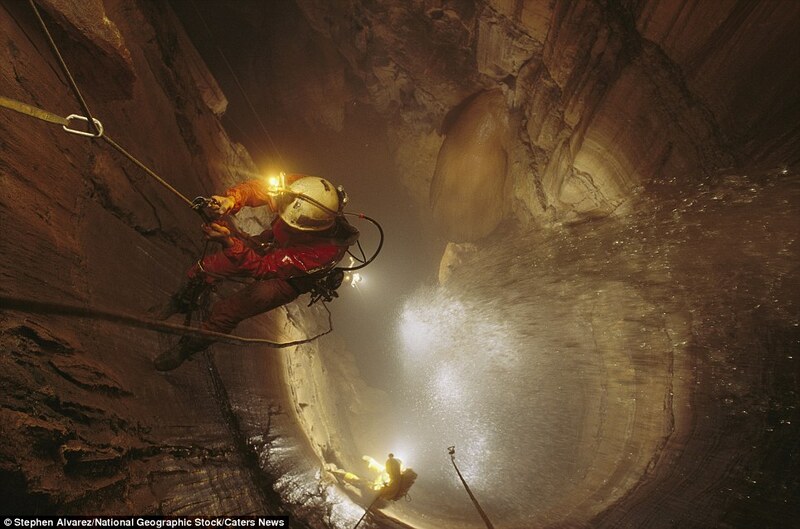 The intrepid cavers reached the cave by plunging down large waterfalls, shimmying through tight underground spaces and swimming in the world's most remote underground rivers. 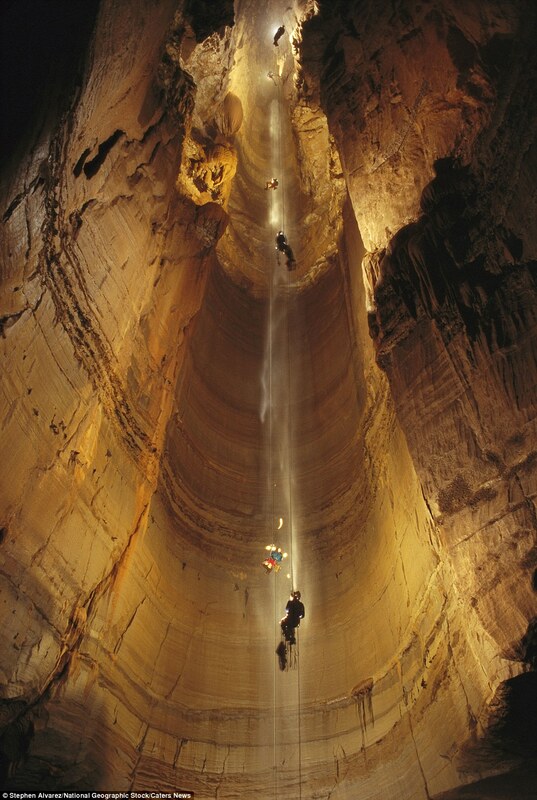 It is thought those who wish to see the Rumble Room have to negotiate a 68ft shaft, two 14ft waterfalls, and 2,000ft of passageways underneath southern Tennessee's Dry Fork Creek. Their reward for the daring downward climb is exploring the gaping Rumble Room chamber, a mammoth cave surrounded by around 15 miles of river passages and waterfalls. Cavers and ecologists look to have preserved the future of the spectacular cave, after plans had been revealed to allow up to 250,000 gallons of sewage through it. 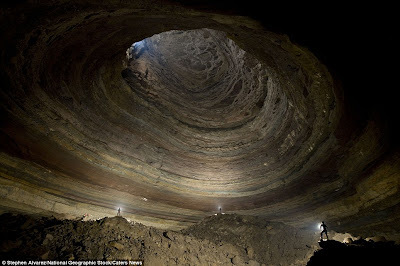 But opposition from the Conservation Action Network defeated the sewage treatment plans for the nearby town of Spencer, Tennessee, and the enormous cavern has remained uncontaminated.